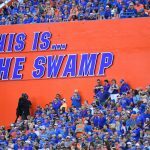 The second version of Florida Gators head coach Dan Mullen’s coaching staff was completed on Sunday with the program announcing it has hired veteran assistant David Turner as the new defensive line coach. Turner, a 33-year coaching veteran, coached under Mullen at Mississippi State for a total of four seasons over two stints (2009, 2013-15). Having coached defensive line nearly his entire career, Turner spent the 2018 season with UTSA after 16 straight years in the SEC. In addition to his previous time with Mullen, Turner coached at Vanderbilt (2002-05), Alabama (2006), Kentucky (2010-12) and Texas A&M (2016-17). He was also at UK from 1993-94, and he has coached at NC State, Virginia and Minnesota, among other stops. Turner takes over for Sal Sunseri, who left for the Crimson Tide after one season with the Gators. 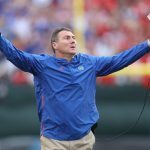 Mullen was also forced to replace cornerbacks coach Charlton Warren, who departed Florida for Georgia. To fill that vacancy, the Gators brought back Torrian Gray, who previously coached at UF. Mullen’s coaching staff is now once again complete with 10 days until National Signing Day. Florida is in contention for defensive lineman Charles Moore (Louisville, MS), the No. 69 overall player in the Class of 2019, who is expected to choose between UF, Auburn and Mississippi State. What or who is UTSA? ?